Experience the very best of Croatia's Christmas Markets on this week-long tour. It's well outside the tourist season so you'll be able to enjoy Croatia like a local. The Croatians love Christmas time, a chance to relax after the busy season and enjoy the company of their family, as well as tasting the traditional seasonal food and drinks. The services we provide as part of our comprehensive packages include accommodations, bus tickets, transfers and city tours. In addition to the tours included we can arrange a number of excursions based on your own interests. Our Destination Manager in the region provides assistance before and during your travels. They will be available to you leading up to the trip to answer any questions and arrange local services. You will be provided with information on the best these destinations have to offer including things to see and do, restaurants, entertainment and other insider tips. Upon arrival we will provide you with a local cell phone that you can use to contact our Destination Manager throughout your trip. In all of our destinations we offer a variety of accommodation options including boutique style hotels, charming B&Bs and spacious apartments ranging from a three to five star level. From our first hand experience we can ensure they are all clean, comfortable and centrally located. We generally discourage chain hotels but provide accommodations with unique features or an authentic feel. We'll arrange for a driver to meet you at Zagreb's airport and take you to your centrally located accommodation. Today you’ll be exploring the most vibrant city in Croatia. 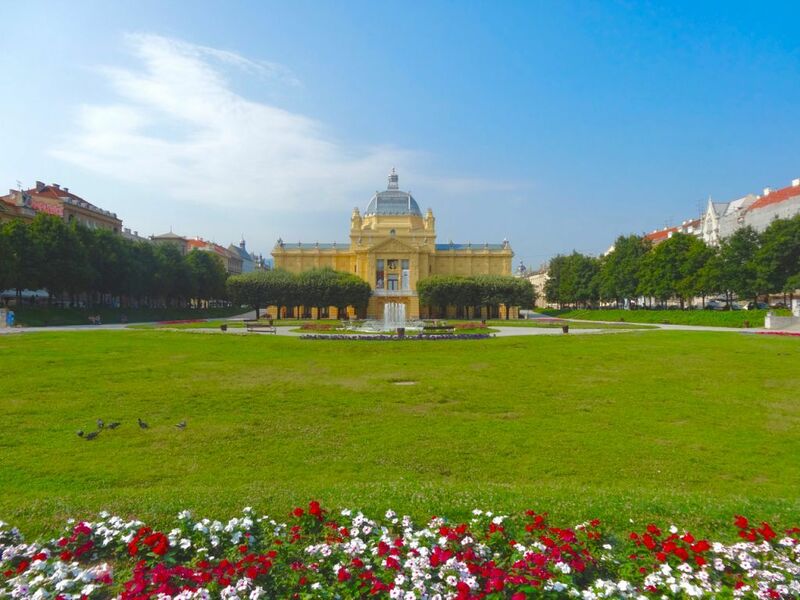 In spite of the rapid economic development in the last few decades, Zagreb has retained its charm, and a relaxed feeling that makes it a genuinely human city. Your guide will pick you up at your accommodation and show you around the local points of interest, including Upper Town and the oldest part of the city, St. Mark’s Church, the Parliament, Zagreb Cathedral, Dolac Market and the Stone Gate. The Upper town, the former Gradec, together with Kaptol, which is the oldest part of the city. Tickets on the funicular are included. At the end of the tour you guide can bring you back to your accommodation, or give you tips for further exploration. Looking to continue a two-year winning streak as "Europe's Best Christmas Market," the Croatian capital, Zagreb, is again going all out to wow locals and in-the-know vacationers. The city's main market takes place on the large central square in the heart of the city. Ban Jelacic square is right in the thick of things. Well connected by tram but otherwise pedestrianized, it's the perfect setting for a yuletide celebration. But in fact you'll find every little square is home to an event of some sort. One of our favorites is Fuliranje, the street at the bottom of the funicular. That's where the best food stands are. In Upper Town (at the top of the funicular) Stross Promenade and square is where you'll find live music, wine, food and a magnificent view over the city, especially after dark when everything is lit. It's quite something special to behold. There are plenty of concerts to attend in Zagreb throughout the year and between the Zagreb National Theater and the Lisinski Concert Hall there's a solid calendar of opera and classical performances. A full day is ahead of you so your private driver guide will pick you up from your accommodation in the morning. En route to Split, you'll stop for 4-5 hours to explore Plitvice Lakes National Park. Your driver will act as your guide in the park, taking you on a lovely hike. Admission is included. The vehicle used for your transfer will be a standard sedan, station wagon or minivan. We can arrange for an upgrade to a more luxurious class of vehicle for an extra fee. Zagreb is a city where different worlds come together. Situated on the intersection of ancient trade routes between the Adriatic and Central Europe, it is a cosmopolitan place with various cultural influences evident in the architecture and the cuisine, as well as the people, as Zagreb is the hub for all elements of Croatian life, from business to sports. You’ll love exploring the open-air markets, the impressive buildings, the peaceful parks and the many delicious restaurants. Just strolling through the unique combination of medieval towers, 19th century palaces, ancient churches and market squares is a pleasure, but there’s much more to do here. After exploring all that the city has to offer with a local guide, you’ll be able to make the most of your time, and learn about the local history. You could also take a guided bike tour around the city, to get a little exercise while you’re at it. But you’ll also want to explore some of the region surrounding Zagreb. On a longer day trip you could see the delightful Trakoscan, a neo-Gothic castle sitting on a hilltop, surrounded by a romantic English style park with exotic trees and an artificial lake. While you’re there you can also stop in Varazdin to appreciate the ornate baroque architecture. Your driver will bring you straight to your city center accommodation when you arrive in Split. Even though Split is the second largest in the country the locals have a pleasant laid-back atmosphere. This sizeable population means there's plenty of appetite for festivities. The backdrop of Diocletian's Palace adds to the old world feel and the main focal points of Advent in Split are the city's squares and the Riva promenade along the seafront. The Split Christmas Fair begins November 26th and runs until January 7th. 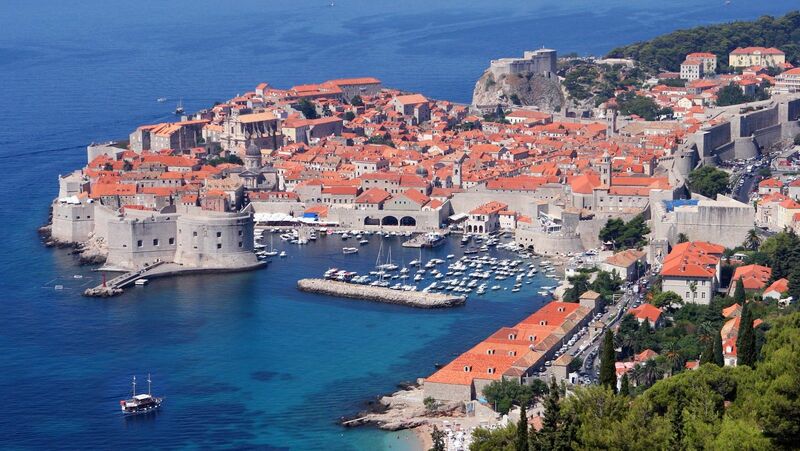 You are heading south today to the fascinating city of Dubrovnik. You'll go by bus, taking a beautiful route along the Dalmatian coast. We'll arrange bus tickets based on your preferred departure time. If you'd like a little more comfort and flexibility, we can also arrange for a private transfer. Your driver will pick you up from your accommodation in Split and take you straight to your Dubrovnik accommodation. You can also take the opportunity to make a stop or small detour along the way into Bosnia to visit Mostar and the famous bridge. If you're happy to drive yourself we could arrange for a one-way rental which would allow you to make those same stops. The Roman Emperor Diocletian made Split his home in the 4th Century AD and built a vast palace complex on the waterfront that stands to this day. In fact several of the accommodation options we offer in Split are nestled inside the walls. These days there is an embankment in front of the palace but the water used to go right up to the wall. It's on this man-made strip of land that you'll find the Riva, a pedestrian promenade bustling with life. Split's UNESCO listed Old Town is contained within these old walls and it's a pedestrian-only maze that it is quie easy, but fun, to get lost in. Who know what romantic hidden cafés you might find in one of the narrow streets and alleyways. To get the best out of your time in Split however, we recommend taking a tour with a local guide. Split is very well connected for flights, with an international airport a half hour drive away and is a popular stopping point for our guests on their way between Dubrovnik and the islands of Hvar, Vis or Korcula, all easily reached by a ferry from Split port. If you base yourself in Split for a few daysyou will find it is also well located for visits to some of Croatia's stunning national parks. When you arrive at the Dubrovnik bus station, we will have someone waiting to bring you to your accommodation. At this time of year the citizens of Dubrovnik will be enjoying a break after a record summer and getting their calm back. December is still a great time to visit Dubrovnik. They don't turn the waves off and take the impressive medieval walls down for winter! The temperatures are usually quite pleasant and the ease of movement makes up for the fact that you'll find slightly fewer restaurants open as the locals take advantage of the off-season to do some traveling of their own. The Christmas markets occupy the legendary Stradun, the old walled city's main thoroughfare. You can enjoy Dubrovnik's Winter Festival from late November on. As well as taking a short walking tour of Dubrovnik's old town with a private guide, which will tell you all about the city's history and get you oriented, there are a few other must-dos when in this breathtaking city and all involve getting a different perspective on the magnificent walled old town. Continue your day in Dubrovnik after the tour with a ride on the cable car up Mount Srd' to take in the views. You'll find the bottom station of the cable car by exiting the city through the Buža Gate. Walking the circumference of the ancient city walls themselves is a way to get another view of the town. It's a bit of a climb to the top of the Minceta tower but highly recommended. If you also want to see Dubrovnik from afar then take a boat trip to Lokrum Island, an oasis of nature and tranquility just 10 minutes from the old town harbor. Meals (other than breakfast if included in room rate and meals listed as included in food tours and excursions (unless explicitly stated otherwise)). -  Parking fees unless otherwise indicated.